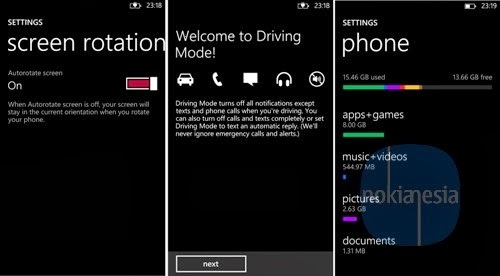 Today, Microsoft announce that GDR 3 or Update 3 Preview for Windows Phone 8 will available for developer via Over The Air Update. This GDR 3 Preview is available for developer to be used for testing new features and also to testing their application on GDR 3 Update that will be released later this year or early 2014. 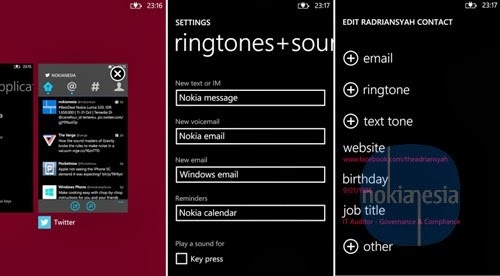 GDR 3 Preview for developer brings some new features for Windows Phone 8 such as custom ringtone for IM & messaging, Support for 1080p display, screen rotation lock and many more. Close apps by tapping on the X on top right in multitasking view. New storage settings make it easier to free up space on your phone and manage temporary files. A new category view shows what's taking up space at a glance. 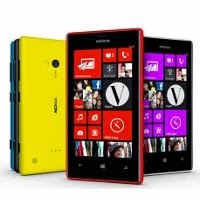 Many of you are familiar with the Internet Sharing feature, which turns Windows Phone 8 into a mobile hotspot by sharing your cellular data connection over Wi-Fi.In Update 3, we’ve made it easier to use your phone as a data-savvy hotspot for Windows 8.1 devices. Just pair your phone and Windows 8.1 PC or tablet over Bluetooth, tap your network name, and you'll be connected and ready to go. No need to enter a password or dig out your phone and turn on Internet Sharing—it's done for you. The team made a bunch of improvements to improve connection quality for Bluetooth accessories.